The author’s works for young people were innovative, presenting adolescent readers with difficult questions well before the rise of YA literature. The acclaimed Eva (Delacorte, 1989), about a teenage girl whose memories are implanted into the body of a chimpanzee following a debilitating accident and who grapples with the implications of her new body and with the media attention, was both controversial and popular. The author again offered teens a dark yet challenging work with AK(Gollancz, 1990), which centered on a 12-year old child soldier living in a fictional African country ravaged by civil war. After the war, he puts away his only possession, an AK-47, and goes to live with a new family. However, when his adoptive father is kidnapped, he must take action. Dickinson’s best-known novels for adults feature Detective James Pibble. Like all of his output, his adult mysteries were marked by the author’s ability to blend the realistic with the fantastical. The first writer to receive Crime Writers’ Association Golden Dagger for two consecutive books—Skin Deep, published in England as The Glass-sided Ant’s Nest (1968), and A Pride of Heroes, published in England as The Old English Peepshow (1969), Dickinson garnered a host of accolades. 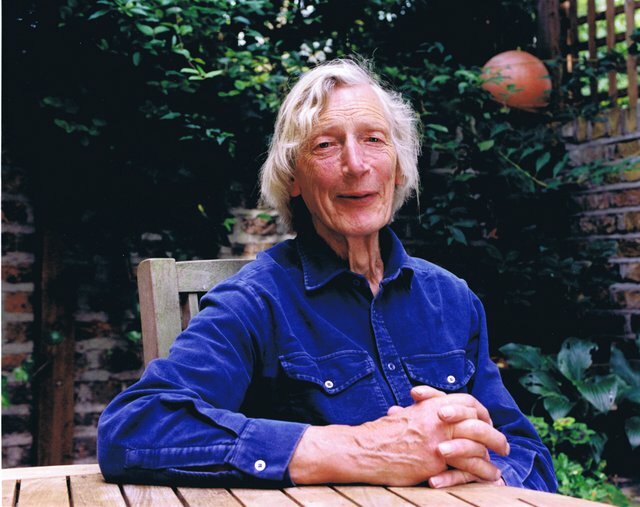 He was short-listed nine times for England’s Carnegie Medal for children’s literature and earned the distinction of being the first to win it twice, for Tulku (1979) and City of Gold (1980). In 1977, he received the Guardian award for The Blue Hawk (1976). On the other side of the Atlantic, he received a Michael L. Printz Honor for The Ropemaker (Delacorte, 2001), the fantasy story of two young people who set out to find a magician who has historically protected their land, and the Boston Globe-Horn Book award for nonfiction for Chance, Luck, and Destiny (Atlantic/Little, Brown, 1975). Dickinson was born in 1927 in Zambia (then Northern Rhodesia), where his father, a British civil servant, was working. He lived there for the first seven years of his life. In 1935, he and his family moved to England; shortly after, his father died. In 1941, Dickinson won a scholarship to Eton College. He served in the army in the aftermath of World War II and then attended King’s College, Cambridge, where he initially studied Greek and Latin but switched to English literature. The author applied for a job as an assistant editor at the humor magazine Punch at the encouragement of one of his English tutors. Though he was hit by a tram on the way to his interview, he made it there and was offered the position. Dickinson would work at the magazine for 17 years. After leaving Punch in 1969, Dickinson went on to write almost 60 books, which were translated into 53 languages. In 2007, he published The Weir, a collection of poetry, and then, in 2012, he released his last novel, the Carnegie-nominated In the Palace of the Khans. Gavin J. Grant and Kelly Link, of Small Beer Press, brought several of his titles back into print and in 2012 published Earth and Air: Tales of Elemental Creatures.“Working with Peter, who had published somany good books, won so many awards, worked with so many publishers, was nerve wracking at first, but he was so calm, dry, and funny that he soon put us at ease. He will be much missed,” they said in a statement.